2. hover over the COMPETE link in the top navigation, select the Rules & Regulation link in the pop out menu that appears. 3. Scroll down to the Rulebook image – click on learn more. It’s the first image link on the left. 4. Scroll all the way down to Additional Resources and click on Rule Changes/Learn more. Again, first block on the left. 5. Under “Currently Active Proposed Rule Changes by Category”, select “DR-Dressage” and hit the search button. 1) There has been a new rule concerning the Musical Freestyle (USEF rule DR129.9). As of December 1st a rider must have a score at the highest test of the level of 63% in order to compete in a musical Freestyle class at that level. This applies to all levels Training through Grand Prix. It was submitted through the USDF Executive Board and passed as an extraordinary rule change by the USEF rules committee. The usual process for rule changes is for the Board of Governors to have input on rule changes. This did not happen. There has been much discussion at the comvention. The Board of Governors at the convention passed a motion for the Executive Board of USDF to request that USEF rescind the rule, based on a break in the established process for instituting new rules. There is no established process for rescinding rules that have come from USEF and therefore no established timeline for resolving the issue. It is USEF who owns the rule and there is no guarantee that they will accept the request to rescind the rule. The rule is in effect as of today. USDF will keep the delegates informed as the process proceeds. Remember that until the rule has been rescinded, a 63% is required at the highest test of the level to ride a freestyle at that level. The time required to get USEF to consider the request is unknown and there is no guarantee that the rule will be overturned. 2) REMINDER – To compete in USEF/USDF licensed competitions in 2019 and beyond, you must complete training provided by the US Center for Safe Sport. It is free and when you renew, you will have access to a portal on USEF site to complete the training. There is a 30-day grace period for those members who are renewing after December 1. This requirement is Federally mandated. 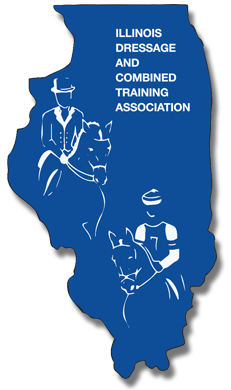 The Illinois Dressage and Combined Training Association, is a non-profit organization whose mission is to improve the understanding of dressage and eventing theories and skills through clinics and educational events. 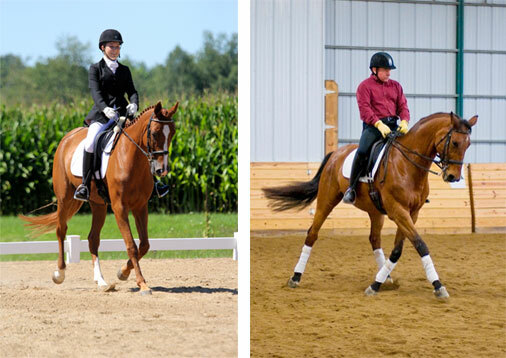 We also strive to assist our members in achieving their equestrian goals, and to maximize their riding enjoyment.